As I mentioned in a previous post, a convolutional neural network (CNN) can be used to classify colour images in much the same way as grey scale classification. The way to achieve this is by utilizing the depth dimension of our input tensors and kernels. 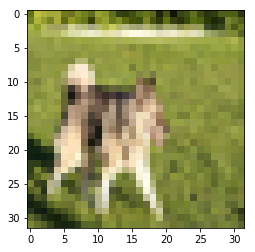 In this example I’ll be using the CIFAR-10 dataset, which consists of 32×32 colour images belonging to 10 different classes. Although previously I’ve talked about the Lasagne and nolearn packages (here and here), extending those to colour images is a rather trivial task. So instead, in this post I’ll be building the network from the ground up, but using a module by Michael Nielsen to handle the plumbing. You can find his original code here (I’ll be using network3.py, but renamed to network.py). The key here is to make use of the depth channel to handle colour. In the Lasagne post our input layer received a 4D tensor that looked like this: (None, 1, 28, 28). The last 2 dimensions (28, 28) are the width and height of the input image, and the second dimension (1) is the depth. In the Lasagne MNIST example we only had 1 depth channel as we were dealing with grey scale images. Here, we simply set the depth to 3 to handle RGB colour. We need to make sure we do the same thing with the convolution kernels – they too will need a depth of 3 as the model will be learning colour kernels instead of grey scale. The goal of this post is to demonstrate how to train a model for colour image classification, rather than try to obtain high classification accuracy (this can be fine-tuned later). """Place the data into shared variables. This allows Theano to copy the data to the GPU, if one is available. simplifies the code, so it makes sense to combine them. height, and the image width. 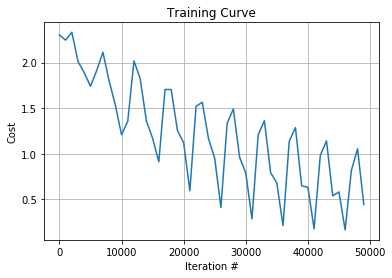 """Plot the filters after the (convolutional) layer. plot_filters(4, 5, "title") to get a 4 by 5 plot of all layer filters. This is the best validation accuracy to date. 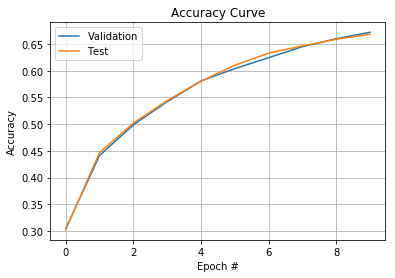 We achieved 66.86% test set accuracy after only 15 minutes of training over 10 epochs. There are many tweaks we could perform to improve accuracy, for example, changing the architecture of our model, or simply increasing the number of training epochs. 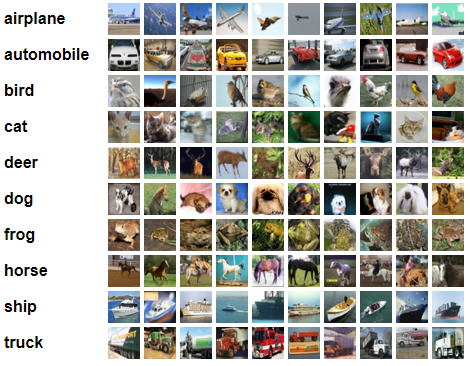 Training a CNN for colour image classification is very similar to training for grey scale classification. Additionally, using a package to handle the layers and passing of parameters (whether that’d be Lasagne, or a custom module like we used here) makes the process a whole lot easier.